In 1872, a Catlonian winemaker named Josep Raventós was traveling throughout Europe peddling his wares. Raventós' family had been producing wine since the 1550s, and up til this fateful trip, had only made still wines. While in France, Raventós found himself in Champagne and was captivated by the local sparkling wine; he returned with visions of bubbles dancing in his head. Not satisfied with importing grapes from France, Raventós decided to create his own sparkling wine with native Spanish white grapes rather than the traditional Chardonnay, Pinot Noir, or Pinot Meunier. He did use imported equipment to recreate the classic Champagne method. During this process, the grapes and pressed and the juice is fermented. 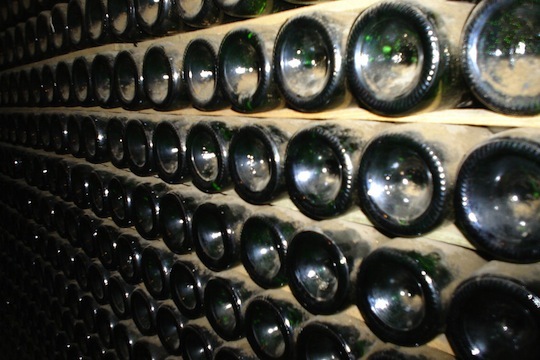 The fermented liquid is poured into bottles with sugar and yeast and fermented for a second time, which produces bubbles. After aging and riddling the dead yeast down to the necks of the bottles, the cava is frozen and the caps are popped off, which also removes the dead yeast-sicle. The wine is then topped off with more wine and corked. The wine was called Xampán until 1883 when the French complained and it was renamed Espumosos. 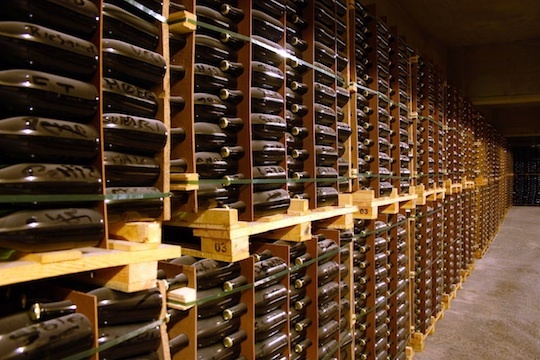 It wasn’t until 1983 that it was officially named Cava, which in Catalan means cave or cellar. It was immediately popular. A small group of forward-thinking winemakers, including Josep, began meeting every Sunday after mass to talk wine and share their discoveries and methods. All began dabbling in Cava and found it to be such a success that they decided Penedès should be transformed into Spain’s own version of Champagne: a region dedicated to sparkling wines. Just as Cava was truly starting to take hold in the region, the Phylloxera plague hit in 1887. Phylloxera are nasty little aphid-like bugs that feast on the roots and leaves of grape vines. But not all was lost: a couple of plucky Cava producers survived the plight. 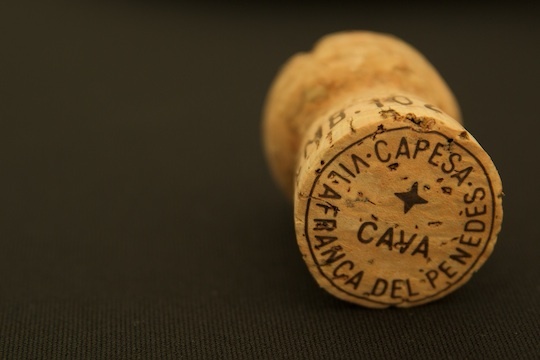 While Phylloxera stunted the growth of the region into the Cava giant that the small group of producers had envisioned, eventually Penedès recovered and now makes 95% of all Cava produced in the world. In terms of taste, Cava is just as varied as Champagne. Cavas come in many styles ranging from dry to sweet, white to rosé, vintage to non-vintage. It can be made from any combination of parellada, xarel-lo, macabeo, subirat (also known as malvasia) and, more recently, chardonnay. The first three grapes are the most commonly used varietals and were the ones used in the first Cavas. In order to be a true Cava, the wine must be made in Spain, must be made with those grapes and must be made méthode champenoise. An easy way to check to see if your Cava is the real thing is to look at the cork: if it’s genuine, there will be a four-pointed star. So why choose cava? While, generally, it’s not as creamy, toasty or complex as Champagne (although there are exceptional bottles out there for a price), it is crisp, refreshing and clean: perfect for a sweltering summer day. It’s versatile and can be matched with both light foods as well as heavier, fattier foods because the bubbles cut through the fat and cleanse the pallet. The clean crispness of a Cava also make it an ideal blank slate for cocktails, particularly brunch cocktails. Mix in a little fresh fruit juice like the traditional orange juice or for a spicier drink some ginger liquor. Amen, sister! I believe that it is in everyone's best interest to have, at all times, at least one bottle of sparkling wine chilling in the fridge. It makes an ordinary day extraordinary. And I cannot sing the praises of cava enough. It is both simple and inexpensive enough to enjoy on a daily basis. Two of my favorites are missing from your list: Paul Cheneau Lady of Spain Cuvee Cava and Freixenet Extra Dry (NOT Brut) Cava. The Cheneau brand is harder to find, but I have come across it at BevMo in southern California. Freixenet, on the other hand, can be found at many major outlets, in California at least. I have never had sparkling wine but it certainly sounds wonderful. I will have to pick some up. It will be wonderful this summer.